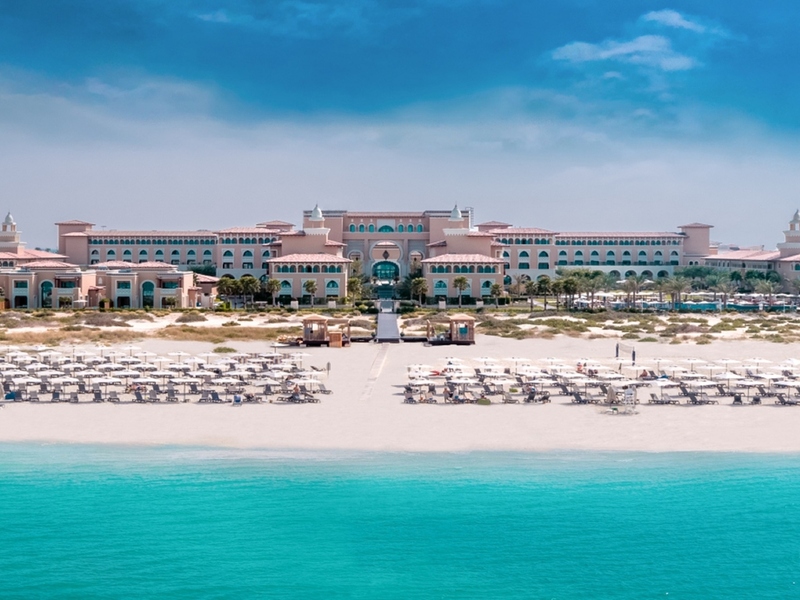 Localizado na Ilha de Saadiyat, o Rixos Saadiyat Island Abu Dhabi convida você a apreciar o puro luxo em um palácio oriental sublime. Com 378 quartos e suítes elegantes, além de diversas casas requintadas, este hotel garante uma estadia relaxante a 20 minutos do centro de Abu Dhabi. As atrações da capital dos EAU e as deliciosas refeições disponíveis nos nossos restaurantes vão deleitar seus sentidos, antes de desfrutar de uma tarde relaxante visitando o spa no local, a praia privada e o parque aquático. Tranqul spa e sauna turca. Nosso restaurante aberto o dia todo, Turquoise, oferece autêntica cozinha turca e internacional com conceito de buffet em um ambiente confortável e intimista, perfeito para famílias, casais e amigos. A fusion of Mediterranean seafood and Turkish cuisine served alongside extraordinary views of romantic coastline, Mermaid boasts a perfect setting for an exquisite dining experience. L'Olivio welcomes you to the warm and charismatic flavours of Italy, delighting pizza and pasta enthusiasts alike. Available as part of the all-inclusive package once per stay, this Italian A La Carte concept will not disappoint. Be transported back to true Rixos heritage, with the distinguished taste of Oriental Turkish cuisine at Orient restaurant. Avail Turkish and Oriental A La Carte cuisine as part of the all-inclusive package once per stay. Aja invites you to experience world-famous traditional Japanese cuisine. With a live Teppanyaki station, sake and sushi bar, live music entertainment, an unforgettable evening of awe-inspiring moments awaits. An exclusive venue reserved only for guests residing in our luxury villas, the Club House caters to tantalizing all of your taste buds, serving a variety of International cuisine in an intimate setting as well as refreshments. Catering to convenient eats-on-the-go and soothing hunger pangs in-between meal times, our selection of Food Carts has something for everyone. Visit the various sites to inspire your palette and appease those cravings. Cooling off from the midday heat or watching the sun go down with cocktails at hand, never sounded more inviting than that at Highlight's swim up bar. Watch our skilled bartenders curate a mixology of signature beverages, with live entertainment at night. Relax in the serenity of our Shisha Lounge, located on an exotic beachfront setting of the Arabian Gulf, fit for leisurely days and nights alike. Not included in the all-inclusive offer. Never miss out on the action, with the convenience of Aqua Bar serving a selection of soft beverages from the wave pool area. Continue your wellbeing journey by rehydrating and re-energizing at Vitamin Bar, the first stop after a unique spa experience. Enjoy fresh fruit juices and soft drinks in the comfort of the bar or relaxation area. The Lounge Bar welcomes you to an assortment of teas, coffee, cookies and snacks. Ideal for a quick refreshment on the go or whilst you wait, the Lounge Bar offers service throughout the day and evening alike.